Could these five projects improve life in the UK? A hardy perennial of life in the Isle of Wight is the suggestion that a bridge to the mainland would be a good idea. 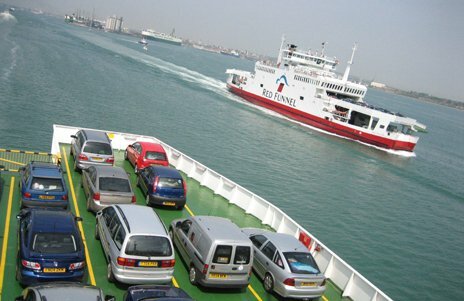 Many Isle of Wight residents joke that the island has the most expensive ferry crossing in the world by mile. A return trip with car and two adults can come in at over £100 during high season. The frustration was summed up by a letter writer to the Daily Telegraph: "Every other island community in the British Isles which had the feasibility of a bridge has seen one built. Why is there no bridge to the Isle of Wight?" Supporters of a bridge argue that even atoll-based crossing would produce competition that would push prices down. They also suggest that the island could get an economic boost. George Bristow, who campaigns for a link with the mainland, says "the economy of the island is dying". He argues a bridge would give the island a 30% increase in GDP. The bridge should link with the A3(M) on the mainland and connect with the east side of the island, he says. 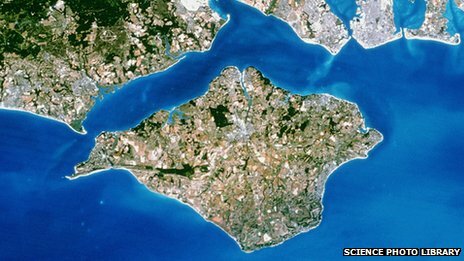 The Isle of Wight Party was set up to campaign for a fixed link with the mainland, whether bridge or tunnel. Tunnels are expensive. As a rule of thumb a rail tunnel of about 10m in diameter costs about £30m per kilometre, says Bill Grose, former chairman of the British Tunnelling Society. Bridges are cheaper. The road bridge to the Isle of Skye opened in 1995. But it too was controversial. It cost a total of £39m to buildunder the Private Finance Initiative, £12m of which came from the government. In 2004, the Scottish government bought the bridge from its private owners after public criticism of what was said to be the highest per mile toll in Europe. Many Isle of Wight residents are against a bridge. And an OFT report in 2009 into ferry fares found they were "not obviously out of line with other commercial ferry services across Europe". And then there is the issue ofsquirrels. A bridge might allow grey squirrels in to wipe out the island's population of red squirrels. Red squirrels on the mainland have almost died out. But up to now the Solent has acted as a natural barrier to their grey cousins.